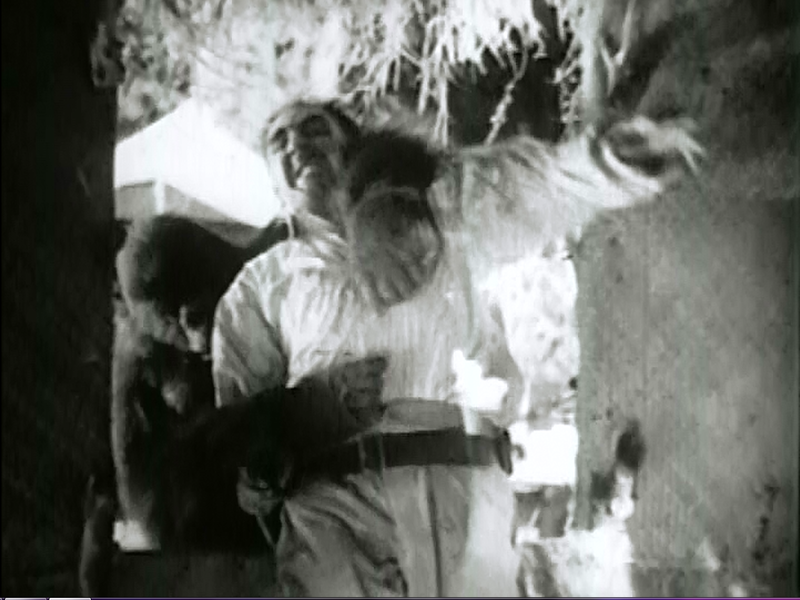 I have a DVD box set called "Sons of Kong" which showcases a bunch of killer-gorilla movies that were made sometime after the original "King Kong" (1933). 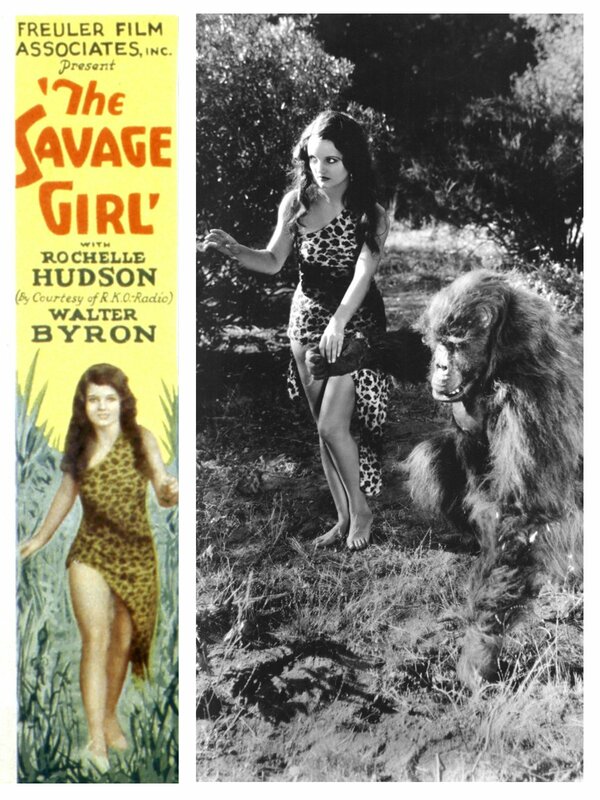 Funny enough, "The Savage Girl" apparently premiered a year before Kong did and plays more like a Tarzan story than anything. Rochelle Hudson plays the titular Savage Girl, or "White Jungle Goddess" as she is refereed to in the movie. She protects the jungle animals from poachers and the locals revere her greatly. She also doesn't seem to be able to speak any language. The Savage Girl (SG) is strong and feisty, but also easily captured. This leads to a really uncomfortable seen where a drunk man tries to molest her while she sleeps, but she fights back and help arrives before the scene can go any further. A very silly side story concerns the rich New Yorker, Stitch, his assistant Oscar (a black man from Harlem who is for some reason now stuck in Africa and hopes Stitch will bring him back home), and a taxi cab driver (and his cab) that Stitch decided to bring along. They're out to see whether or not elephants are afraid of mice, so, they bring a little white mouse with them to hunt with. It's a joke the starts at the very beginning of the film and is mentioned a few times before it's resolved. I was actually kind of impressed they stuck with it. The molester from before strikes a deal with the people of the local tribe to capture the hero so he can have SG all to himself (gross). There's a big rescue involving Stitch's crew, a fight between the molester and Walter Byron's character, but none of that was needed. While she was being molested, again, SG screeched and her chimpanzee friend alerted a gorilla to come save her; the gorilla simply reaches through the window and grabs the molester... and we never know what happens to him. There is no real plot to this movie; the initial plot was abandoned as soon as SG released the animals that were captured and the rest of the plot revolved around either the mouse-elephant hunt and the events of the finale. I had a lot of fun though; the characters in this flick were really colorful. Not bad for a movie that's only an hour long. But like a lot of films from this time, it just sort of led to a non-ending. The girl and the hero kiss, the end. Also I feel I should mention I now have a huge crush on Rochelle Hudson now and I plan on watching all of he films.